Game Event Fairy, EXP and Drop Carnivals. 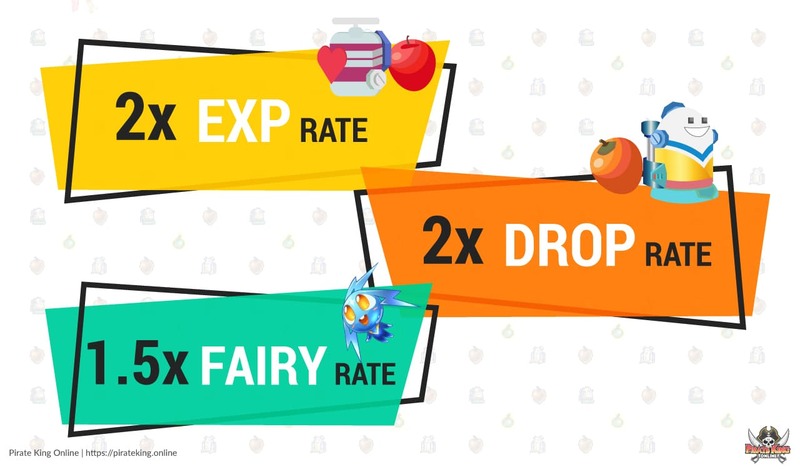 After following observation of DONE, we saw players were curious to receive not only EXP and DROP but also Fairy Growth, and so the following week we shall have boosted EXP/DROPS/Fairy Growth! The following hours will have 2x EXP/DROP and 2x Fairy Growth rates activated! will nana winners be announced before exp event starts? Yes. All the winners will be contacted once the Gleam (D.O.N.E.) is done.